When properly controlled, epilepsy needn't prevent a career in the outdoors. A longstanding climber, mountaineer and outdoor instructor puts pay to any idea that being diagnosed with epilepsy should curtail his career. I had been a climber for seven years when I was first diagnosed with Epilepsy. I was then climbing and working full-time in the Outdoor industry; I had two seizures in the space of 24 hours and was admitted to hospital. Various scans followed and I was informed I was now epileptic. I was given Tegretol, an anti-seizure drug, and told not to drive, cycle, climb or work as an instructor! I was 25 and my world was collapsing around me!! Interestingly I was recently informed by a consultant that today people in my situation would have more tests and more time would be taken to consider the diagnosis prior to starting medication. Fortunately I had a great many good friends and to this day I vividly remember a friend knocking on the door a few weeks later and dragging me off to Pen Trwyn – we used a GriGri and I flashed a 7A+. A few weeks later we did the girdle of Left Hand Red Walls at Gogarth! I then went to see some of the senior staff at Plas y Brenin to ask if I could undertake my MIA training – which they gratefully agreed. I spent two years climbing full-time until I could drive again and passed my MIA. I've now been in the industry for over 20 years and hold the MIC and other outdoor qualifications. This has never stopped me doing what I love. I am still on medication and cannot afford to take the risk of stopping. On expeditions I ensure that all members have spare drugs on them in case mine are lost. On harder multi day routes there are drugs in both sacs and on big walls there are drugs in the haul bag and in any small sac or in my pocket. I never went down the line of becoming an IFMGA Guide due to my condition, and work with some commercial expedition companies was not allowed. Having spoken with the BMC's Honorary Medical Advisor it appears that once a long period of time without a seizure (probably years) has passed the risk of further seizures is going to be reduced. Work in the outdoors is entirely feasible if you have well controlled medical conditions, even with a label of Epilepsy. Be open with employers, although you are not obliged to inform customers. However, driving regulations are now fairly strict and very specific and this may be the biggest stumbling block. I was fortunate to get established before the law changed and this did not cause me a problem. I am still working full-time in the outdoor industry though due to the change in minibus regulations I have changed the focus of my work somewhat. You will never get a PCV if you have Epilepsy. I took this to the House of Lords unsuccessfully! So all the very best and please, if your condition is well controlled, do not stop climbing. Be open about your diagnosis for your own safety but also to educate others. A career in the outdoors may be a challenge due to the driving but there are organisations where this is less important. Diving: a medical note is needed in advance and the condition must be declared to the DVLC. Mountain Leader Training: there is no requirement to disclose a medical condition and therefore if candidates fulfil the requirements to undertake a training course then this is permitted. During training if a medical condition is disclosed, then the course director is likely to discuss how a candidate can progress towards assessment and some advice may be taken from the BMC's Honorary Medical Advisor. MLTs perspective is more on technical ability to undertake a course rather than on employability. However if a candidate has a seizure on a course then this is likely to result in the candidate having to demonstrate their ability to prove they are under control before the award is granted. RYA: need a medical note to prove you are well controlled on medication. Flying as a passenger: never leave all your tablets in the hold. Always carry enough for the duration in your hand luggage. Scuba diving: need a medical note before training allowed (even initial pool sessions). Spare tablets: keep them everywhere! On big mountaineering expeditions I ensure I have enough medication for the entire trip in my hand luggage and an equal amount in the main luggage. This will mean some explaining to a GP as the usual amount you'd get would be 56 tablets at a time. On the trip I have secreted tablets in many places. For example on big wall trips I have a few days of tablets on my person, my climbing partner has a few days and the rest in a haul bag. I hope this is of use and maybe inspires a few people with controlled Epilepsy to get involved or continue mountaineering. The author of this article wishes to maintain his anonymity. As a keen climber and mountaineer I was heartened to read this article by a mountaineering instructor who suffers from Epilepsy. Epilepsy is a diagnosis that covers a whole spectrum of medical problems which involve some form of recurrent fits. The fits can vary from an uncontrollable minor pause in concentration and loss of awareness to a major convulsion with the patient becoming temporarily unconscious. Medication can offer control of the problem. I spend a lot of time advising patients with preexisting medical conditions on the implications of their illness and medication on their outdoor activities. I frequently have to look at issues such as the potential effect of altitude on chronic disease and also on practical ways of adapting monitoring systems or medication for use in the extreme conditions which can be encountered in the hills. I also screen clients and leaders going on commercial expeditions. This screening involves some medical knowledge but also a very practical knowledge of all aspects of mountaineering. I may find myself advising an international mountaineer who suffers from recurrent altitude illness to consider unclimbed objectives at lower elevations but potentially severe weather in Patagonia, a climber with previous frostbite may need information on boot, mitt and glove design prior to another trip or a diabetic climber may need advice on tricks on how to monitor blood sugar at -20°C in a blizzard at 7000m. Every case, every patient and every route will be different. In this article the climber suffers from very mild epilepsy which has been well controlled on regular medication for many years. Epilepsy varies from a mild condition, such as this, to a severe illness involving frequent fits that will certainly disrupt lifestyle and could be fatal, especially in a mountain environment. Current evidence suggests that well controlled epilepsy does not get worse at altitude but we do know that tiredness or other physiological stress can trigger a fit. To be cautious I would advise a climber with controlled epilepsy wanting to attempt a technical Himalayan peak of 6000m to try a less technical peak of higher altitude first to minimise risk to him/herself and any companions. Any personal advice must be tailored to the patient's circumstances. Obviously one is at less personal risk enjoying simple hill walking than unroped scrambling on Grade 3 ground. There is less risk from a potential fit if leading a bolted sports route that running out a lead on an unprotected Scottish ice gully with dubious belays. 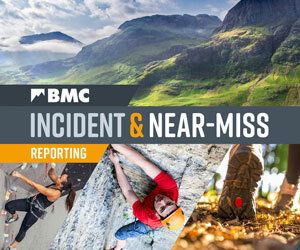 All aspects of mountaineering involve personal risk assessment. With epilepsy, or any other chronic medical condition, this must take into account the patient's condition, motivation, skills and the history of the fit pattern, or lack of fits, over several years. It must also consider his or her companion's ability to cope if the "patient" becomes unwell. Obviously in a commercial or instructional setting the legal and moral duty of care to the client(s) and any back up available is an added consideration. In these circumstances the guidelines of the Driving and Vehicle Licensing Agency (DVLA) forms a good basis for advice which must then take into account personal circumstances. Do inform your companions of your condition. Ensure that they understand the risk to you and to themselves in relation to the planned activity. If they are not willing to accept your illness do you really value them as companions? Every mountain trip involves a complex series of continually changing risk assessments. Epilepsy, or any other illness simply adds one more variable to the equation. Carry spare and emergency medication and ensure companions understand basic first aid and how to use emergency medication. If in doubt get advice from a doctor with specific experience in mountain medicine and arrange for them to liaise with your normal GP and Neurologist. Dr David Hillebrandt is the Medical Advisor to the BMC. This article is really appreciated and I want to thank the writer for it, and the site for publishing. Dr. Hillebrandt's comments as well! I could have written a nearly identical article from my experience ski guiding and working in mountain rescue, with the exception that I don't climb 7a. :) I have yet to pursue formal training through the AMGA as I worry I would be disqualified from the courses. However this has inspired me to reconsider. Cheers.